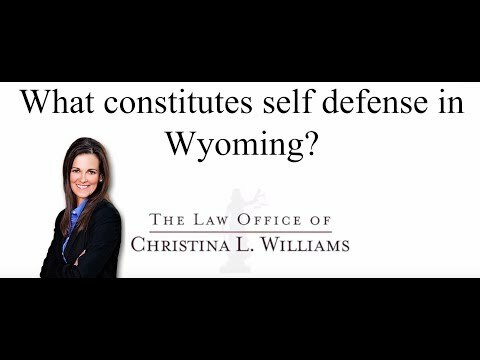 What constitutes self defense in Wyoming? Everyone is entitled to defend themselves if they are being involved in any sort of altercation. It’s always a reasonableness consideration, that is, based on the facts and circumstances of the altercation, did the person act reasonably? Did they reasonably believe that they were being attacked? Did they defend themselves with a reasonable amount of force? You can also defend others. Again, the court looks at the reasonableness factor, even if the person is the primary aggressor and retreats and is brought back into the altercation, they can use self defense. All of this is looked at by the court or by a jury. It’s not an exact answer. It’s definitely dependent upon the circumstances of the altercation.